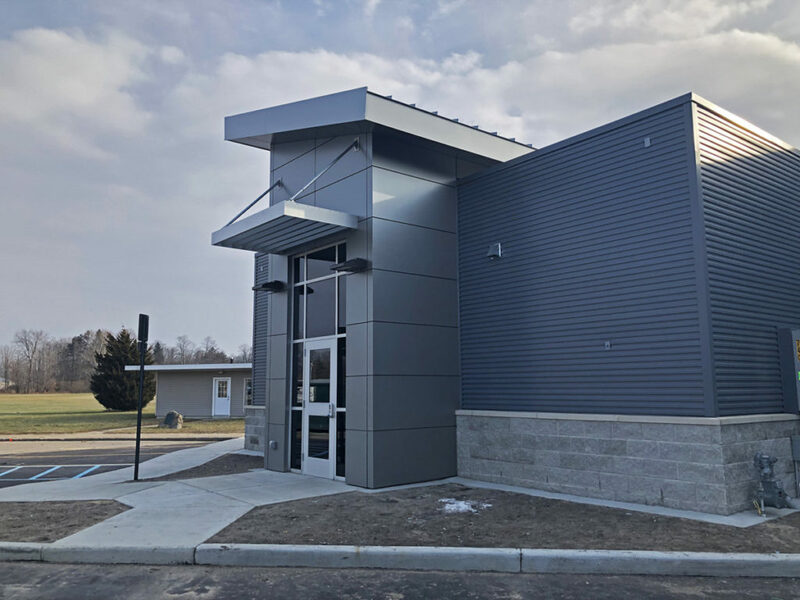 Allegan Airport Terminal Addition - Byce & Associates, Inc.
Byce & Associates, Inc. provided Architectural and Engineering Services for the new 1,670 square foot Allegan Airport Terminal Addition in Allegan, Michigan. The Terminal Addition, located on the North-East corner of the existing hanger/office facility, includes Men’s and Women’s ADA Accessible Restrooms, Pilot Lounge, Pilot Briefing, General Lobby space, and Interior Connection from the existing to new addition to separate public and private entry points. 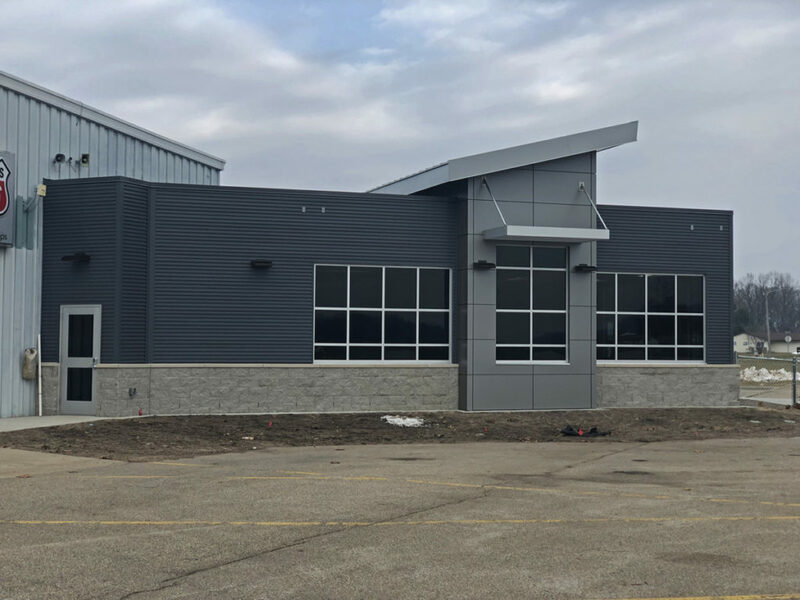 The Allegan Airport Terminal Addition was designed to comply with all FAA requirements, meet the needs of the local client, while also complying with the FAA regulations of eligible costs for funding. All spaces were designed with flexibility in mind to allow for dedicated use by the airport and the public as needed. 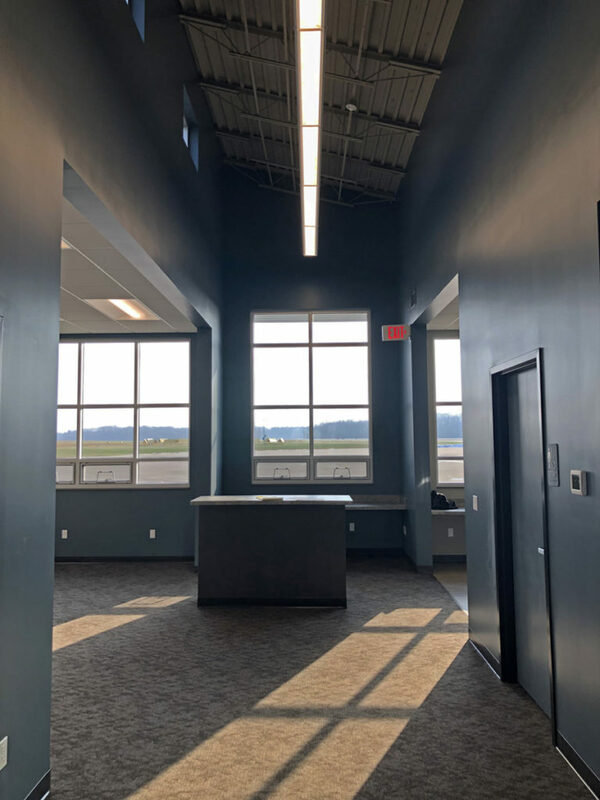 The building was oriented to provide the facility with an identifiable entry point, a clear view of the runway from the pilot lounge, and to maintain views from the existing office areas to the frequently used fuel pumps adjacent to the airfield. 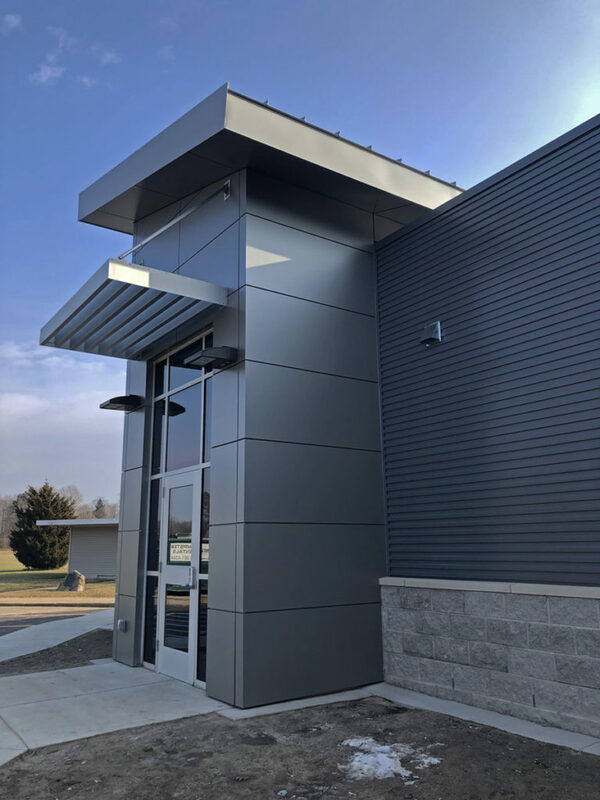 The new Terminal Addition was constructed with a steel frame structure with infill metal framing, split faced CMU veneer, horizontal metal and ACM panels, mill finish storefront systems, and standing seam metal roof. 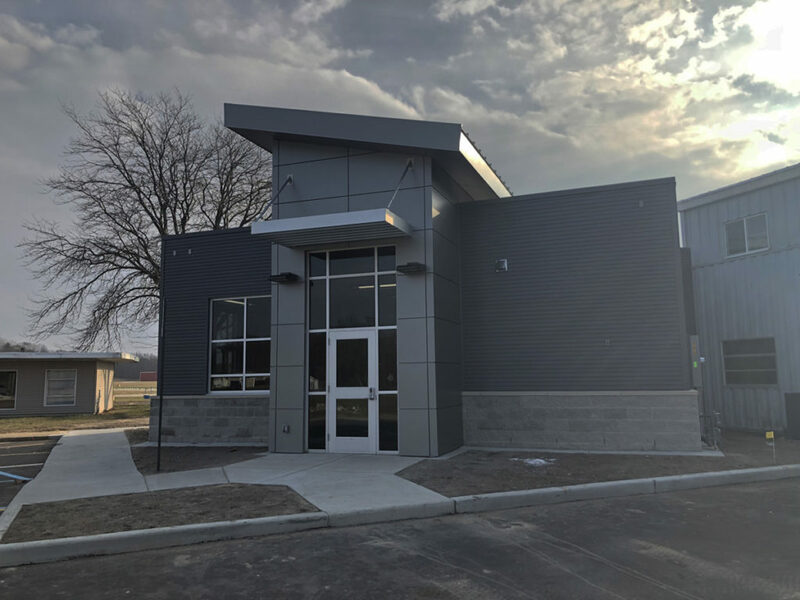 Mechanical systems for the Terminal were dedicated to the new addition with the intent of serving the connection to the existing building. High efficiency equipment was provided for all the new equipment. 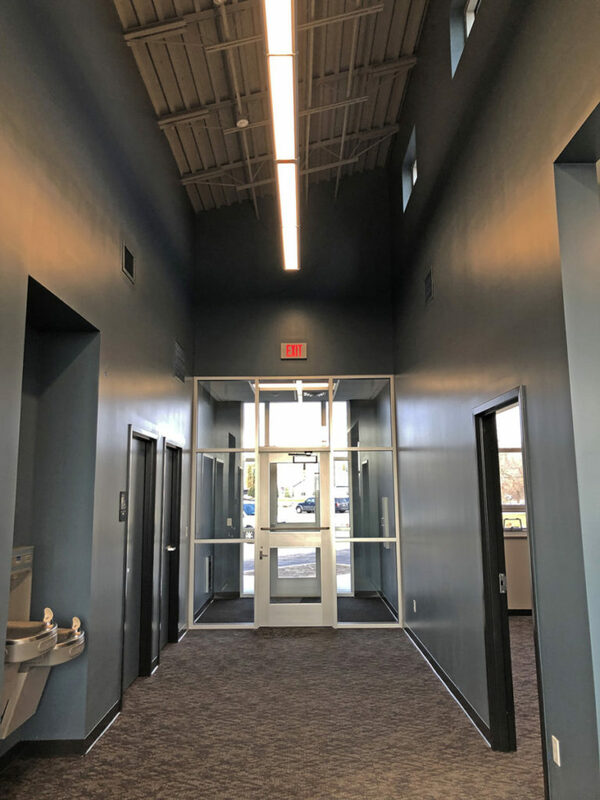 The electrical systems was an extension of the services for the existing building by providing new main distribution equipment within the addition, which brought the overall facility into code compliance. All lighting was LED for the construction of high efficiency systems. 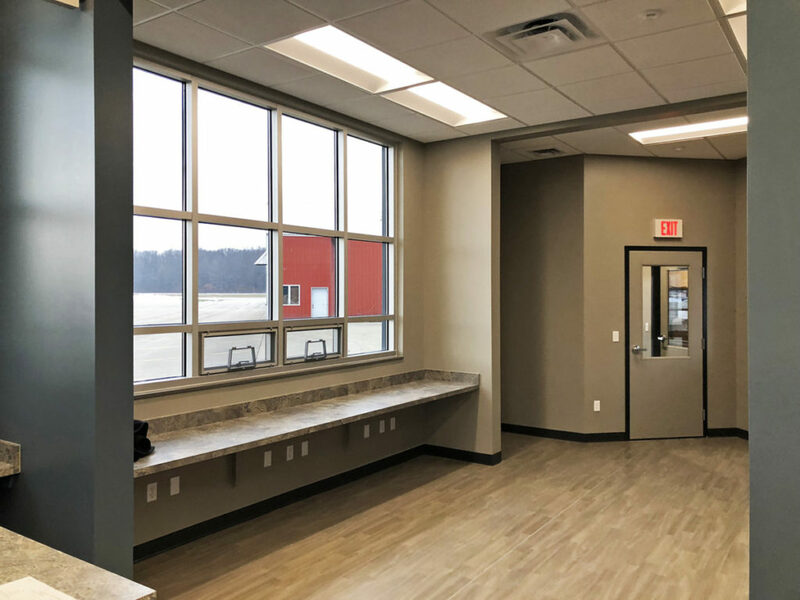 An important aspect of this project was to maintain continued access to the Allegan Airport Terminal and to avoid obstructing the views of the airfield.